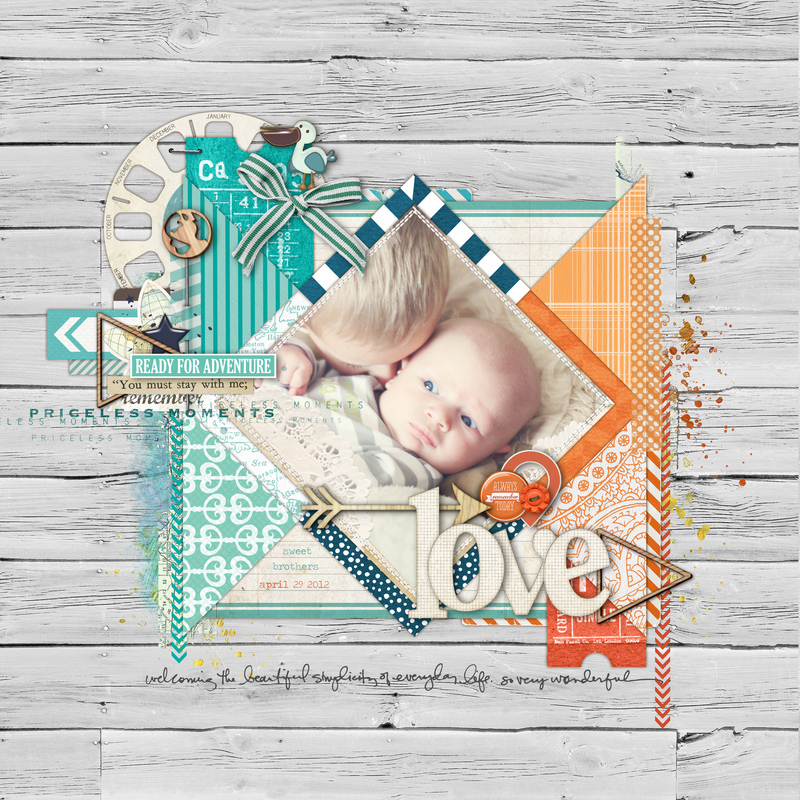 Kayleigh Wiles thrives with digital scrapbooking as a creative outlet in her life. In spare moments throughout the day and after her three blonde-haired, blue-eyed children are asleep, she find time to get visons of turquoise flowing on the page. With her supportive husband, Kayleigh lives in Ontario Canada. She is addicted to coffee with hazelnut creamer, collecting cookbooks, and hanging out with her kids. Kayleigh is known for her layered style and inclusion of rich details. Kayleigh creates layered templates called Layer Works, from her digital scrapbook pages for the brand Studio Double-D at DesignerDigitals.com. 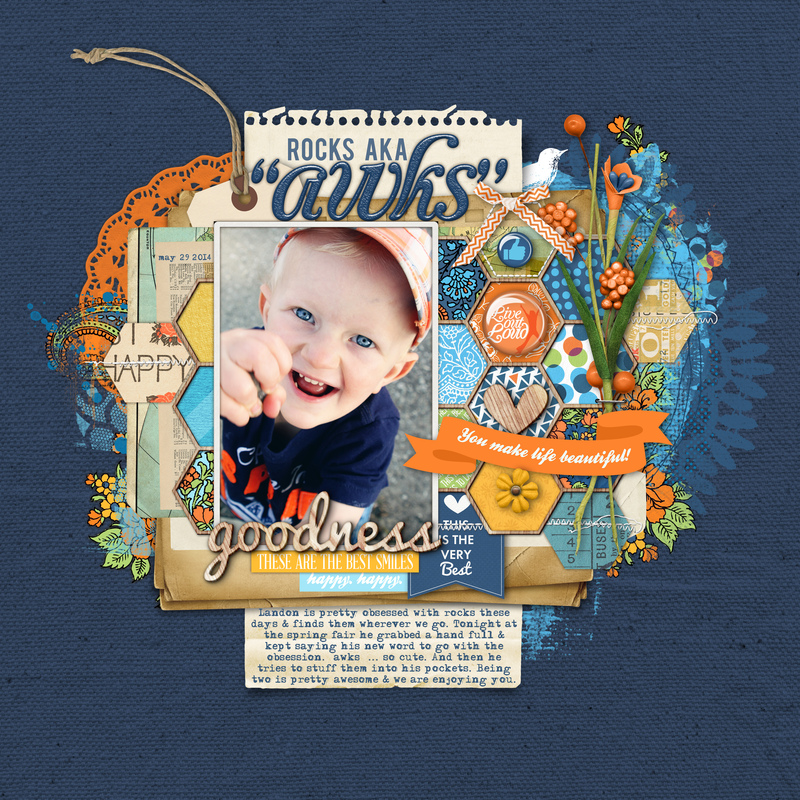 She also creates ready made journalers, banners, and borders, and “Curated Kits”that collect Katie Pertiet’s digital scrapbook products. Kayleigh has been a digital scrapbooker since 2007. 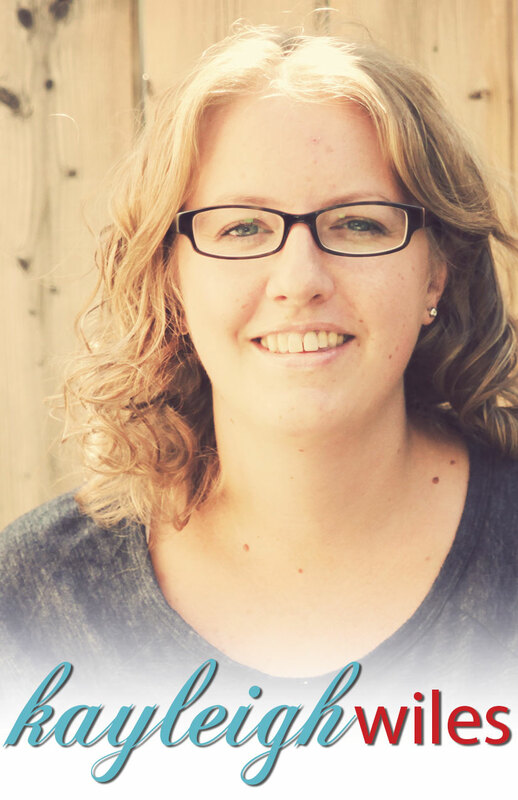 Her pages have been published in many scrapbooking magazines; she is a past contributor to Masterful Scrapbook Design classes at Get It Scrapped, to e-books at Designer Digitals and to classes at Big Picture Scrapbooking. To learn more about Kayleigh, visit her site KayleighWiles or checkout her Studio Double-D line of product at Designer Digital.